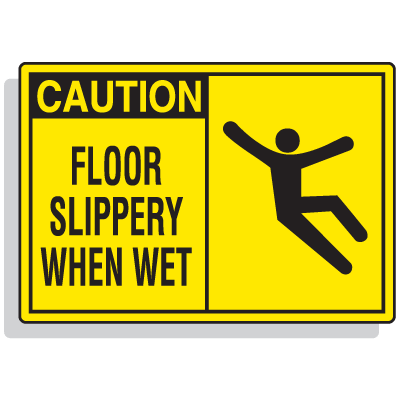 Reduce reduce the possibility of slips and falls with Slippery When Wet signsPrevent accidents from occurring in your facility and help ensure a safe environment for everyone. Slippery When Wet Signs help ensure a high level of safety awareness in your business. 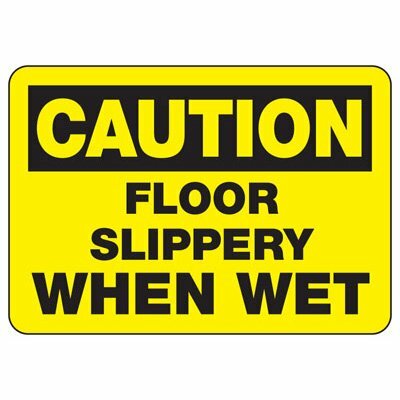 Lessen the potential risk of slippery floors and grounds with Seton's slippery when wet signs. Help people avoid these areas by installing safety signs around your facility, whether indoors or out. These are made with materials such as rigid plastic and aluminum, so you can use them in various locations. For even tougher options, you can choose to upgrade with Seton’s surface overlaminates. This additional layer guarantees that your Slippery When Wet signs can withstand the effects of weathering and extended use. Businesses and facilities must always maintain a high level of safety. To ensure this, federal and state laws require them to identify potential safety risks, which include slipping and tripping hazards. 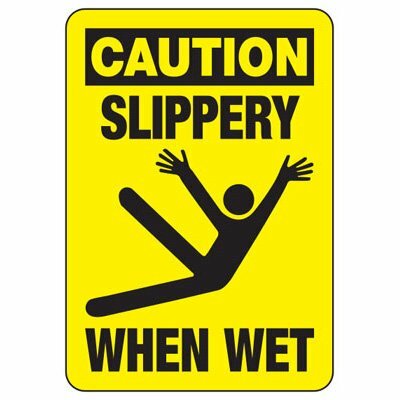 Comply with laws and identify such hazards in your facility with Seton’s Slippery When Wet Signs. 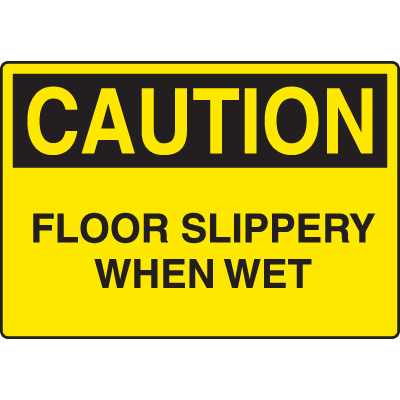 Notify people of potential slipping risks while still at a safe distance with Caution Wet Floor signs. 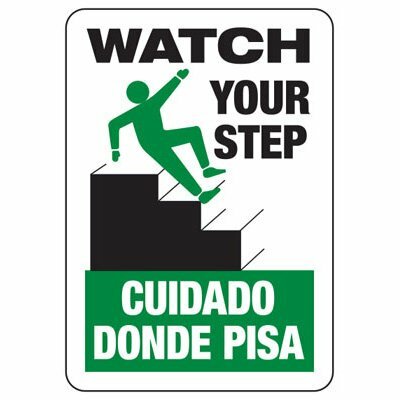 Other signs that carry similar messages that warn of tripping and slipping hazards are also available. Most common floor-related accidents involve people slipping on substances or tripping on objects along walkways or aisles. Injuries that can be incurred include fractures and sprains in the wrists, arms and/or legs and even serious back injuries. If no Slippery When Wet signs were used in the area, individuals can file lawsuits on grounds of harmful negligence. Keep people safe from floor-related injuries. Install Slippery When Wet signs and other warning signs to reduce the possibility of problems related to such incidents.